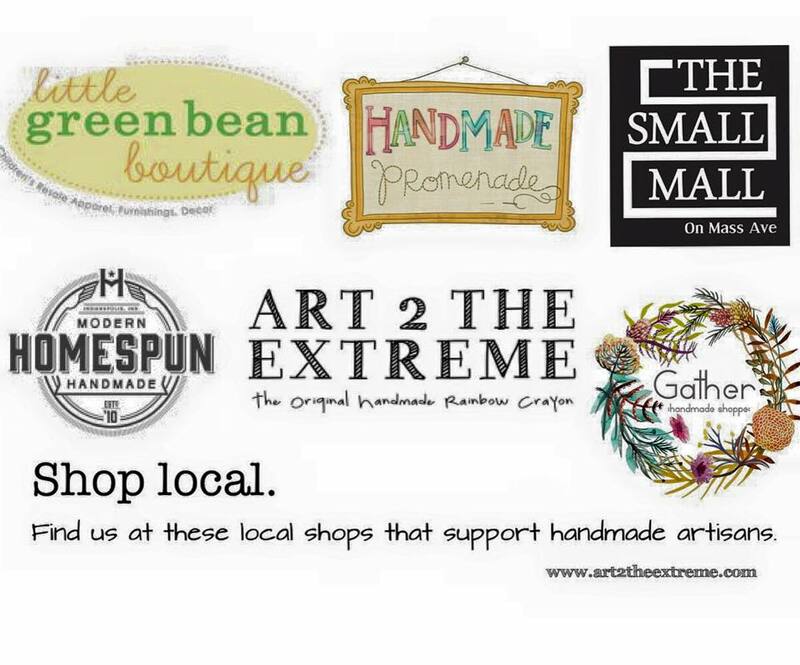 During the 2015 Holiday shopping season, you can find us in these local stores in Indianapolis and at Gather in Bloomington. We have many more additions coming in 2016. If you would like to have our Rainbow Crayons in your shop and are interested in wholesale, please visit our “Wholesale” tab or contact Nicole at nicole@art2theextreme.com.